The keeping of journals and diaries became an almost everyday pastime for many Americans in the nineteenth century. Adeline and Julia Graham, two young women from Berrien Springs, Michigan, were both drawn to this activity, writing about the daily events in their lives, as well as their 'grand adventures.' These are fascinating, deeply personal accounts that provide an insight into the thoughts and motivation of two sisters who lived more than a century ago. Adeline began keeping a diary when she was sixteen, from mid-1880 through mid-1884; through it we see a young woman coming of age in this small community in western Michigan. 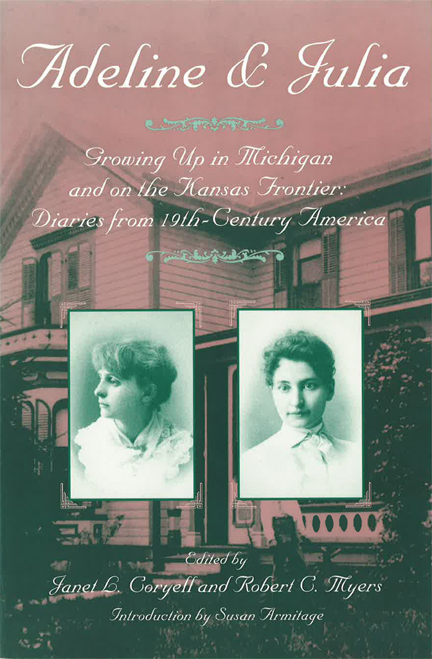 Paired with Adeline's account is her sister Julia's diary, which begins in 1885 when she sets out with three other young women to homestead in Greeley County, Kansas, just east of the Colorado border. It is a vivid and colorful narrative of a young woman's journey into America's western landscape. Janet Coryell is Associate Professor of History at Western Michigan University. Robert Myers is Director of the Berrien Springs Historical Association.